Wow! That’s all I can say. I’ve just watched “The Other Side” a new YouTube campaign by Honda UK and Wieden + Kennedy London for the new Civic and the Civic Type R (the sporty version). You’ll have to see it to believe it and to understand my explanation below, but what they’ve done in this campaign is super cool and have added a level of interaction to YouTube as a platform that I personally haven’t seen in a while. So, what’s so special about it? Well, for one, it’s a social media campaign that advertises two models of the same car, one in full antithesis to the other (the family car vs the getaway car) by telling a similar but yet opposite story – a kind of black and white story… day and night. While watching “The Other Side” you simply press R at whatever point you want and a whole new side of life appears. 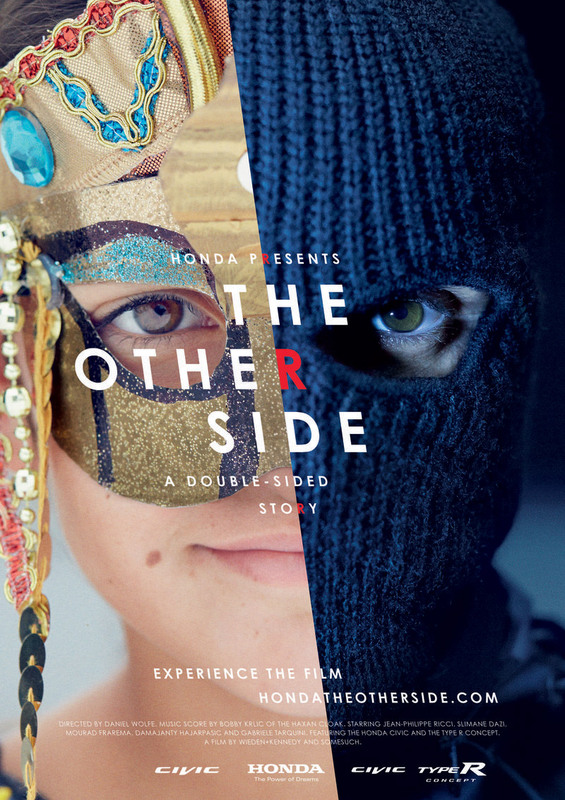 See “The Other Side”, the new #Honda #YouTube campaign from @wklondon. BRILLIANT! Whatever the case, I really think they nailed it. What do you think?